Regular Sub platters consists of 15 pieces of 4" sandwiches and may serve up to 7 pax. Large Sub platters consists of 21 pieces of 4" sandwiches and may serve up to 10 pax. Large Classic Combo 4" SUB Platter | Sub Platters - from Subway. Regular Classic Combo 4" SUB Platter | Sub Platters - from Subway. Large Flavor Craver 4" SUB Platter | Sub Platters - from Subway. Large Subway Fresh Fit 4" SUB Platter | Sub Platters - from Subway. Regular Flavor Craver 4" SUB Platter | Sub Platters - from Subway. Customize Your Own Large 4" SUB Platter | Sub Platters - from Subway. Regular Subway Fresh Fit 4" SUB Platter | Sub Platters - from Subway. Large Veggie Delite 4" SUB Platter | Sub Platters - from Subway. Customize Your Own Regular 4" SUB Platter | Sub Platters - from Subway. Regular Veggie Delite 4" SUB Platter | Sub Platters - from Subway. Regular Wrap platters consists of 20 pieces of 3" wraps and may serve up to 10 pax. Large Wrap platters consists of 30 pieces of 3" wraps and may serve up to 15 pax. Regular Classic Combo 3" WRAP Platter | Wrap Platters - from Subway. Large Flavor Craver 3" WRAP Platter | Wrap Platters - from Subway. Regular Flavor Craver 3" WRAP Platter | Wrap Platters - from Subway. 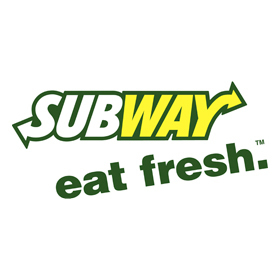 Regular Subway Fresh Fit 3" WRAP Platter | Wrap Platters - from Subway. Regular Veggie Delite 3" WRAP Platter | Wrap Platters - from Subway. Large Veggie Delite 3" WRAP Platter | Wrap Platters - from Subway. Large Classic Combo 3" WRAP Platter | Wrap Platters - from Subway. Customize Your Own Large 3" WRAP Platter | Wrap Platters - from Subway. Large Subway Fresh Fit 3" WRAP Platter | Wrap Platters - from Subway. Customize Your Own Regular 3" WRAP Platter | Wrap Platters - from Subway. 3 Dozens Cookie Platter | Cookie Platters - from Subway. 5 Dozens Cookie Platter | Cookie Platters - from Subway. Each Lunch Box is packed with one Sub, a bottled drink, 2 cookies OR regular chips and necessary condiments. Classic 6" Sub Lunchbox | Lunch Boxes - from Subway. Premium 6" Sub Lunchbox | Lunch Boxes - from Subway. Classic 12" Sub Lunchbox | Lunch Boxes - from Subway. Signature 6" Sub Lunchbox | Lunch Boxes - from Subway. Favourite 6" Sub Lunchbox | Lunch Boxes - from Subway. Signature 12" Sub Lunchbox | Lunch Boxes - from Subway. Premium 12" Sub Lunchbox | Lunch Boxes - from Subway. Favourite 12" Sub Lunchbox | Lunch Boxes - from Subway. Whether you are hosting friends for a movie night or throwing a holiday bash, Giant Subs are the perfect way to satisfy giant hungers. 3 Foot serves 9-15 while 6 Foot 20-25 persons. Giant 3 Foot Sub | Giant Subs - from Subway. Giant 6 Foot Sub | Giant Subs - from Subway. Enquiry with Caterspot for Subway. "Everything was as requested.Awesome service. I ..."
"Freshness and value for money"
"convenient and easy to order"
Subway Catering offers a variety of sandwiches that are perfect for meetings or parties with friends. Made fresh to your order and piled with a wide variety of taste-bud-tempting deliciousness. Build your own platter of tasty subs just the way you want! In the offer, you can also find lunch boxes or Giant Subs that are the perfect way to satisfy giant hunger. Subway also offers desserts, like cookies, chips or drinks. Refreshing drinks and tasty sides to make it a meal! Subway is a fast- food restaurant in Singapore that serves healthy food options that is much loved by their customers. Their mission is to provide the tools and knowledge to allow entrepreneurs to compete successfully in the Fast Food industry worldwide, by consistently offering value to consumers through providing great tasting food that is good for them and made the way they want it and has been doing so since they opened in 1965. Subway also uses high quality and fresh ingredients for their dishes. Subway focuses on providing excellent service and stylish meal presentation as well as building a good relationship with their customers. Subway believed that healthy food should be the highlight for any occasion. They also placed a strong emphasis on food hygiene especially during food preparation. Subway's catering is popular for business meetings, casual dining, private events and kid-friendly. Subway's catering menu features Sub Platters and Giant Subs and a lot of popular dishes. They're sure to be a favourite at your next event or party, so make sure to treat your guests to Subway catering. Subway also offers various meal options for their customers based on their budget, volume and delivery time. Some popular dishes on Subway's catering menu include their Large Classic Combo 4" SUB Platter, Classic Combo Regular 3" WRAP Platter, and Classic 6" Sub Lunchbox. Large Classic Combo 4" SUB Platter menu can serves up to 10 people and it includes 21 pieces of 4" subs while Classic Combo Regular 3" WRAP Platter can serves up to 10 people which includes 20 pieces of 3" wraps. Their Classic 6" Sub Lunchbox includes one 6" sub, a bottled drink and 2 cookies OR regular chips. With their experienced chefs and passionate team, you will definitely be satisfied with their menu and services. Looking to get Subway delivered to you? Subway delivery is available for all-day breakfast, lunch, and afternoon snacks in Singapore to all of Singapore. Make sure to check their schedule for delivery times, which is usually 7 days a week and do note that their menu requires 1 day notice for placing orders, so don't be disappointed! Thanks to Caterspot, you can have Subway to cater to your needs and preference. You can simply place your order via our website. Alternatively, you can also call our hotline. Our friendly staff will be pleased to assist you with your booking or any enquiry. In Caterspot, we provide a seamless experience and convenience to our customers: once you have placed your order, you can count on us to deliver healthy and fresh Subway catering menus to your location.